It’s hard to move beyond conventional choices when clients aren’t educated on the performance of materials. 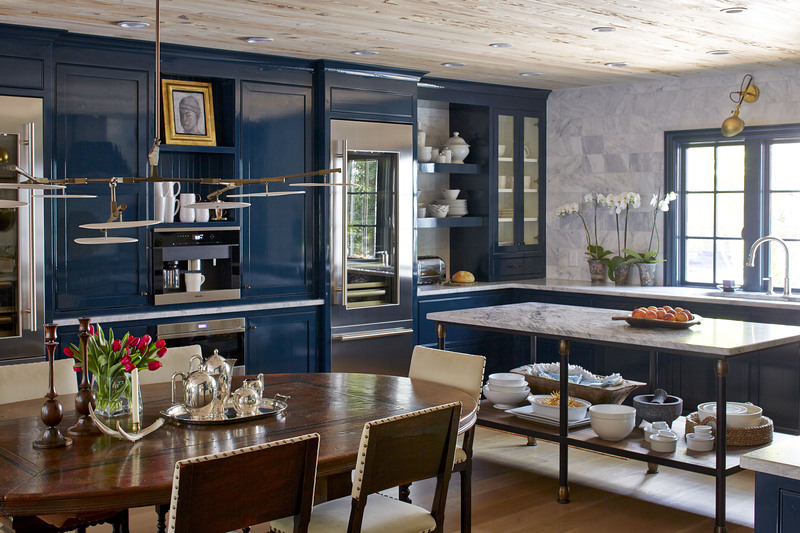 Home kitchen of Pam Sessions, designer at Hedgewood Homes featuring Pearl Grey American marble. The choice between natural stone and engineered surfaces isn’t as simple as marble vs quartz. (Or questions like, “Do you cook with red sauce?”) Natural stone and engineered surfaces like quartz countertops each have their own varieties, color schemes and benefits. Soapstone, for instance, is actually a great bathroom material, for vanity tops, flooring, and inside the shower. It’s naturally slip resistant, and, it conducts heat well, which means it feels warmer underfoot and to the touch than granite or marble, making it a perfect pairing for radiant heat. Granite which has a reputation for being high polished and 90s-speckled actually comes in a deep black that can take a antiqued finish for touchable leather-like texture and look. And, marble… poor misunderstood marble. The luxurious natural stone has been dubbed the countertop of the for-looks-only kitchens, leaving out families and foodies who need a workhorse island that grows with them. Truth is, properly sealed and cleaned, marble is a highly durable countertop material. Especially American marbles, which are more dense and less susceptible to staining than italian marbles. Quartz too is a bit misunderstood. Though highly durable for high use countertops, it isn’t indestructible. Quartz is a resin based product and all resin based products can warp and are more heat sensitive than natural stone making them prone to fading, warping and even cracking in heat and direct sunlight. That means no sunny kitchens and no outdoor installs. Click here for more on quartz vs marble.